Jennifer defends private, non-profit and public sector employers in federal and state litigation, involving employment related claims, such as wage and hour, discrimination, disability, wrongful discharge, and breach of contract, and constitutional and municipal law violations. 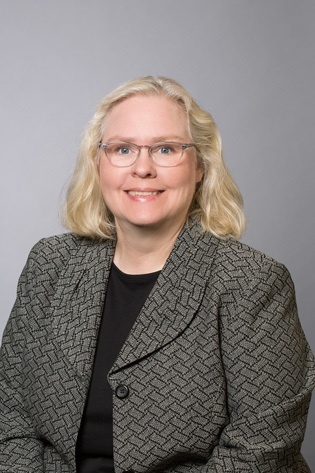 In addition, Jennifer routinely advises clients on developing, improving and implementing preventative human resources strategies to minimize potential risks and assists clients to respond and resolve various employee issues on a daily basis. Jennifer joined Laner Muchin in 1997, and has been a partner since 2001. Prior to joining the firm, Ms. Naber served for eight years as an Assistant Corporation Counsel in the Labor and Employment Division of the Corporation Counsel’s Office of the City of Chicago. Defending employers in single employee to complex class action wage and hour lawsuits, including prevailing at trial on a class claim for unpaid wages for off-duty cell phone usage. Jennifer also represents employers undergoing regulatory audits and conducts internal audits regarding their wage and hour practices. Representing employers in employment discrimination, harassment, retaliation, FMLA and failure to accommodate disability cases before state and federal courts and administrative agencies. Investigating complaints of wrongdoing, including investigations of alleged harassment, retaliation, discrimination and other matters. Counseling and advising clients on a daily basis on a variety of human resources topics, such as leaves of absences, requests for accommodations, wage and hour overtime classifications, and discipline, and also drafting and implementing employment policies compliant with the ever-changing applicable labor and employment laws. Providing training and informational sessions both for clients and non-clients on employment related topics such as wage and hour laws, employment discrimination laws, personnel records and leaves of absence.